The video on EquestrianCoach.com about getting a dull horse to become more responsive to the leg has helped my riding immeasurably. I am riding a very hot horse. Could you give me some tips or advice on riding this type of horse? First of all, turnout and a change in diet can work wonders with “hot” horses. If you have already taken care of those management details, train very quietly, using a great deal of simple lateral work (turn on the forehand, leg-yielding). 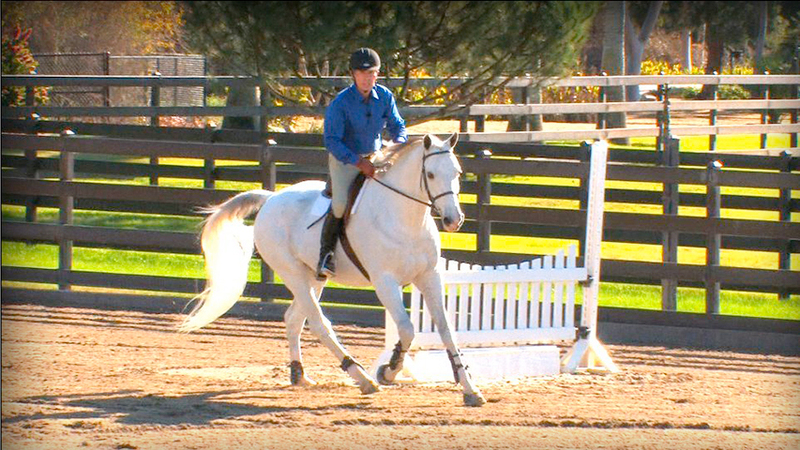 Lateral work makes horses start to slow and accept the rider’s leg. Use the size and shape of your training movements (circles, half-circles, half-circles in reverse) to control your horse’s speed, rather than the reins. If possible, train in an enclosed space at first. If your horse is ultra-sensitive to your leg, take your spurs off for a while. Finally, your position must be very stable and secure, as hot horses will over-react to the slightest movement of your lower leg, no matter how inadvertent. This type of horse can be rewarding to work with, but you must always have more time than your horse. Is something physical bothering him? Does he get ample turnout? Does he get worked regularly? Is he on a high grain ration? Has he had rough riding in his past, to make him anxious? Does the saddle fit correctly? Have you, the rider, had prior experience with hot horses? Have you gotten any professional help? Those are a few questions to start with, so you can narrow it down somewhat. This was a common problem with the Thoroughbreds of the last century, and I will give you the solution that worked well with them and should work on any breed with this issue. It’s called “stabilization”. We’d spend weeks working on this until the horse would stay the same speed basically on a loose rein. 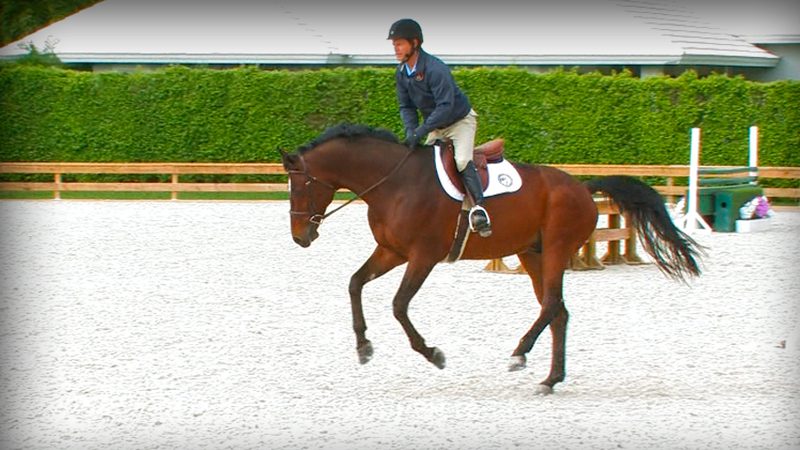 It is described on EquestrianCoach.com in the video topic, Fundamentals Of Flatwork – Basic, and it has its own chapter within that topic called Stabilization. Watch that, but I will give you the skinny. First it takes patience, perseverance, and time. 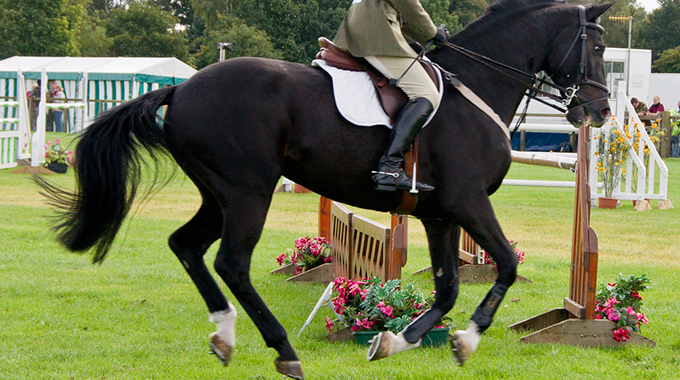 Ask your horse to trot at a normal speed. 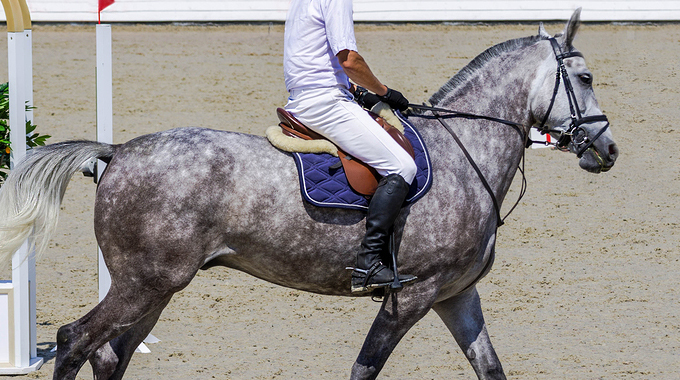 Loosen the reins to a short loop by putting your hands and arms forward. Naturally your horse will speed up. As soon as he does, check him (take contact and increase contact as if you were going to walk and do not increase your leg) and use your voice (whoa). He will slow down to the original normal speed. Loosen the reins again and he will of course speed up. Repeat the check and voice command. It will take many, many hundreds of these to get the message across. Hopefully he is smart enough to get the message and you can proceed to the canter with the same procedure. Use the mildest snaffle suitable for your horses mouth. Member Request from Shayna: I would love to see some more hunter videos! Slowing down a speedy/energetic hunter would be an awesome topic and I love Peter Pletcher’s videos! Would like to see more from him! In this quick tip segment. Peter Pletcher answers Shayna’s Member Request and discusses safe and effective ways to cope with a fresh horse. James C. (Jim) Wofford, 71, was born and raised on a horse farm in Milford, Kansas. He is a graduate of Culver Military Academy, and the School of Business at the University of Colorado (B.S. Bus. Admin. ’69). Wofford, a 3-time Olympian, has spent his life with horses, and is one of the best-known Eventing trainers in the world today. In 2000, Wofford was listed by the Chronicle of the Horse as one of the “50 Most Influential Horseman” of the 20th century, and in January of 2012, he was awarded the Jimmy A. Williams Trophy for Lifetime Achievement, horse sports’ highest honor. A Hall of Fame member of both the United States Eventing Association and Culver Military Academy, Wofford trains at his farm in Upperville, Va., and travels extensively, teaching and giving clinics. 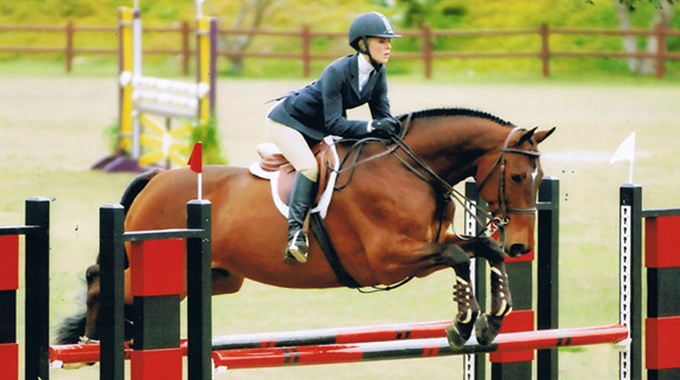 Karen shares her strategy for preparing her students for equitation finals. Tonya Johnston, Geoff Teall, Julie Winkel and Alivia Hart lend their advice to a member who wants to pursue a life and career in horses despite having parents who are unsupportive of her choice. Linda Allen shares her insight as to why a horse might shake its head on an approach to a jump and how to fix this issue.